Norfolk Southern Corporation is a premier transportation company, whose railway subsidiary serves every major container port in the eastern United States, operates the most extensive intermodal network in the East and is a major transporter of coal and industrial products. 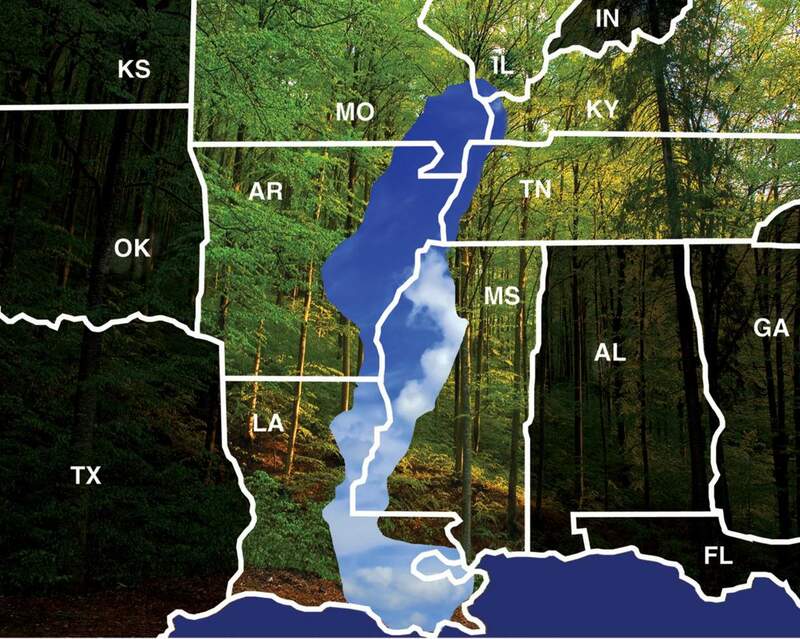 Recently, NS support for a reforestation project in the lower Mississippi Alluvial Valley has propelled it to a position of leadership as one of the nation’s largest investors in private land reforestation too. The roots of this NS strategy go back 14 years, when the Railroad partnered with the Fish and Wildlife Service to begin protecting habitat of the endangered Red-cockaded Woodpecker on its Brosnan Forest property. Within the past three years, NS has protected nearly 12,500 acres of the southern pine forest through a permanent conservation easement. The area is located in the renowned ACE Basin of SC (which was one of the first NAWCA partnership projects that I helped to fund, with help from Dow, while I was at the National Fish & Wildlife Foundation). “Some 6000 acres of our protected pines have been described to us as one of the best examples of longleaf forest left in private hands in the Southeast,” says Blair. Why Keep Land and Not Sell? NS bought the Brosnan Forest about 160 years ago to supply fuel for steam engines and wooden cross ties. As demand for the wood decreased, various parcels were sold off, but the company kept a core of about 16,000 acres. Over the past 50 years, the allure of the area’s forests and wildlife was not lost on company executives who established a conference center and lodge on part of the property. When development pressure from Charleston began creeping their way, NS decided to protect the property rather than sell most of it off. Why? “Because we like it!” says Blair - his shorthand way of indicating that the land’s heritage and environmental significance are important to them. 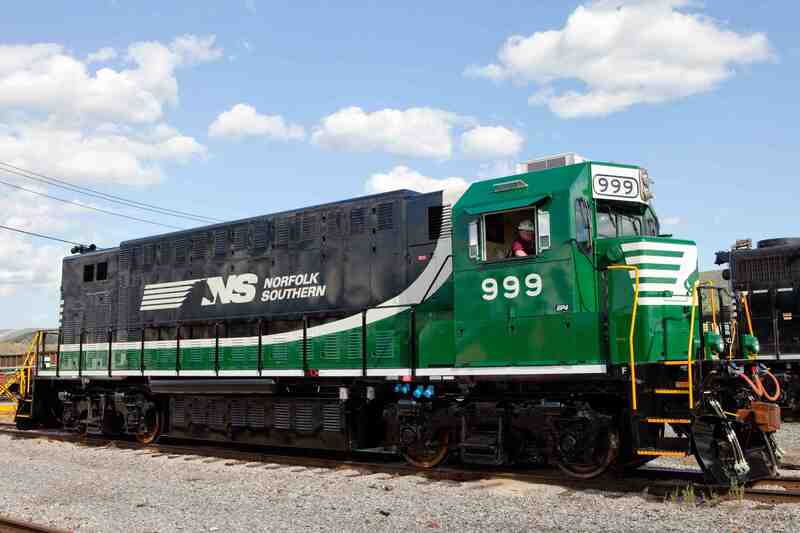 Norfolk Southern has entered into a contractual relationship with GreenTrees, the nation’s leading reforestation program on private lands. 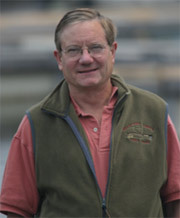 Their 5-year agreement will fund GreenTrees’ work in planting an average of 2,000 acres per year. The ingenious GreenTrees system is a winner by all three of the triple bottom line standards: people, profits, and planet. Area landowners gain economically by planting marginal farmland with native trees while large chunks of the Mississippi Valley’s bottomland hardwoods come back to life. The system allows Norfolk Southern to generate carbon credits at the same time the land is producing jobs, environmental benefits and income for landowners. GreenTrees works with private landowners to plant half cottonwoods and half native hardwood species. They use a specially selected fast-growing form of cottonwood, which serves as a shade nursery for the slower growing but longer lived climax species, such as oak and cypress. Each restored private property receives a restoration design that includes native tree species suited to local conditions. At intervals after year 10, the cottonwoods can be harvested for biofuels, and most of the oaks and native hardwoods that have established in the understory will be left to sequester carbon, though some may be harvested. Credits generated by the project will be registered with the American Carbon Registry, which requires a commitment to sustainable management for at least 40 years.